For over 75 years the Jeep® Brand has been indelibly linked to freedom, adventure, authenticity and passion. Our core values are embodied in every Jeep vehicle’s DNA. Jeep vehicle owners have long been known that Go Anywhere, Do Anything.® is a way of life, not just a slogan. The Jeep badge stands for more than a brand. In truth, it’s a badge of honor. Explore our legendary lineup, then create your own timeless story. Born in the heat of battle, the Go Anywhere, Do Anything® Jeep® 4x4 emerged a hero to thousands of Allied soldiers around the world. The equally heroic civilian Jeep vehicles of the 1940s firmly established the Jeep Brand as the undisputed leader in 4x4 technology. The all-new Jeep® Wagoneer represented unparalleled refinement and innovation. Prestige and individuality ruled the day. 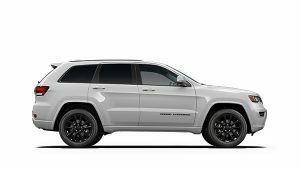 The Jeep brand line-up grew to include 14 models — for work, play, recreation and luxuriously capable transportation. The Jeep® brand's 4x4 leadership continues in the 70's with the introduction of the first full-time 4x4 system. The sporty 2-door full-size Cherokee (SJ) sweeps the 4x4 of the Year awards. Six models help elevate sales to all-time highs. 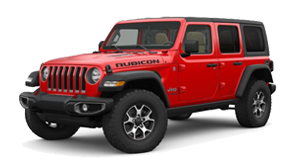 The radical 2003 Jeep® Wrangler Rubicon was the most capable vehicle ever produced by the Jeep brand. A new 4-door Wrangler took the industry by storm. The Compass and Patriot were the first Jeep vehicles to reach into the small cross-utility segment.